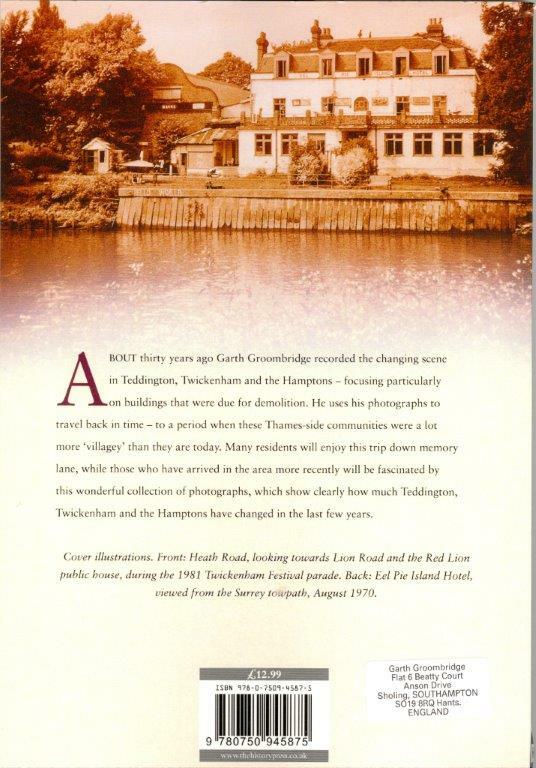 About thirty years ago Garth Groombridge recorded the changing scene in Teddington, Twickenham and the Hamptons - focusing particularly on buildings that were due for demolition. He uses his photographs to travel back in time - to a period when these Thames-side communities were a lot more 'villagey' than they are today. 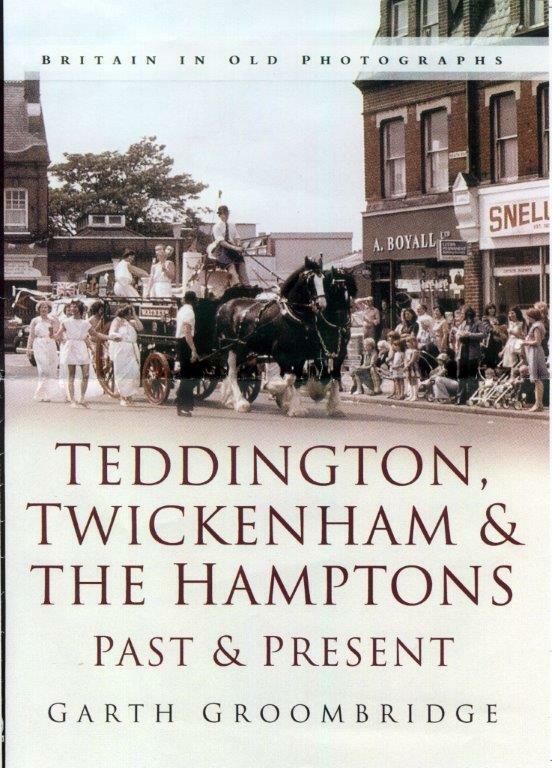 Many residents will enjoy this trip down memory lane, while those who have arrived in the area more recently will be fascinated by this wonderful collection of photographs, which show clearly how much Teddington, Twickenham and the Hamptons have changed in the last few years. early years of the 21st century, and with quite extensive text.